With talk of Gov. 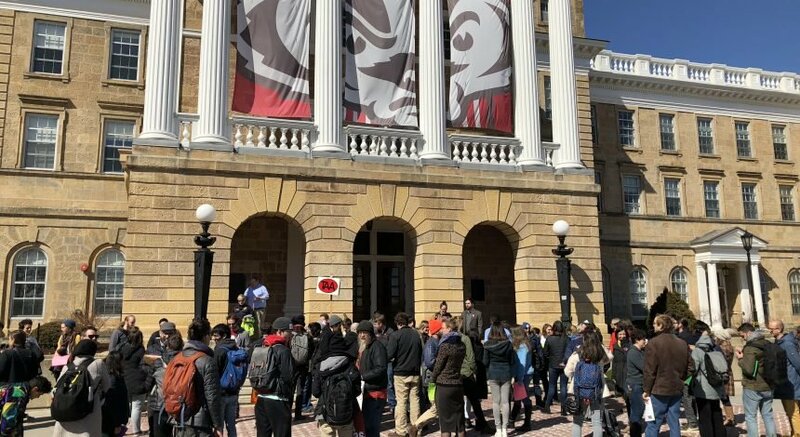 Scott Walker possibly not considering a fourth term, political experts Wednesday outlined the possible candidates and issues relevant in the next election. Political Science Professor Barry Burden and journalism professor Mike Wagner said it is hard to predict what a 2022 race would look like because many current political figures will no longer be on the scene and new figures will emerge. 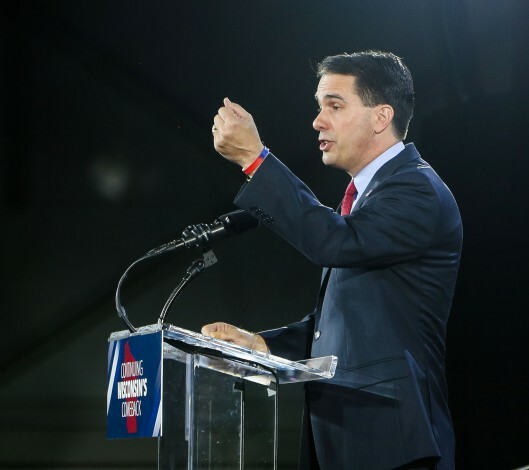 “If Governor Walker chooses to run for a third term, like he seems to be hinting he’s going to, he’ll be a formidable candidate in a slightly more difficult environment than he’s traditionally found himself in in terms of his popularity,” Wagner said. Walker has been polling at under 50 percent approval in Wisconsin for a long time, up from a low of 30 percent. Wagner said if Walker can maintain this upward trend until 2018, the governor will be in a good position. However, if Walker remains stagnant, it will be more difficult for him to win. Burden said if Walker did step aside in the third race, it would be wide open for new candidates on both Democratic and Republican sides, including candidates not currently being considered. Speaker Robin Vos and other state legislators could be among the Republican candidates in an open 2018 race, while Democratic candidates could include Sen. Jennifer Shilling, D-La Crosse, Assembly Minority Leader Peter Barca, D-Kenosha, Kevin Conroy, Exact Sciences chairman, U.S. Rep. Ron Kind, D-Wis., and Kathleen Falk. Wagner added former Democratic Sen. Tim Cullen and Sen. Kathleen Vinehout, D-Alma, to the list of possible candidates. Walker would not likely face a serious challenge from the Republican side if he did run. Wagner said if Walker doesn’t run, the field will be open for people to test the waters. Burden said the agenda and issues each candidate emphasizes would be different without Walker in the race. Pressing topics in the next election will likely include transportation, higher education, taxes, environmental regulation and business interests, Wagner said. “That is also the first election year after redistricting, so state legislative and congressional will be less certain and some legislators might decide to run for governor or other offices,” Burden said. The biggest effect of the presidential race would be for Republicans who are trying to navigate Republican candidate Donald Trump’s campaign, Burden said. The choice to support or not support Trump could become a distinguishing factor among the wide field of candidates. Walker still may be considering a bid for the presidency, Wagner said. Because Walker said he will not run again against presidential candidate Hillary Clinton while serving as Wisconsin’s governor, he would have to resign if he both was reelected and wanted to run, break his pledge or decide not to run.